mad street cred: Is your relationship bad for the planet? 1) There's a better-than-even chance one of them is cheating. Let's just be honest. It seems like everyone cheats these days. Sigh. 2) Talking on the phone is SO annoying. And inevitably, the phone and computer being the only usual means of communication between two people does not make for a close and lasting relationship. 4) It inevitably is turning one or both of them insane. Be it from worrying that you're cheating or just going crazy not being with you. One of the two of you is going insane right at this moment. 5) Which is more realistic - one of you uprooting your life and moving to be with each other, or you eventually breaking up? There are plenty of other reasons, but those are 5 good ones. Clearly I hate long-distance relationships and think they're the worst. But there's one reason I hadn't considered. In Slate today, Barron YoungSmith posted an article that talks about the best reason I've heard yet - environmental consciousness. 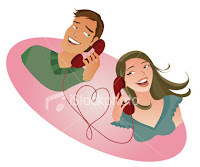 Read the article here: "The environmental case against long-distance relationships." There are some great comparative facts in here, like that breaking up with your long-distance partner would be about 10 times better for the environment than going vegetarian. And that someone in a long distance relationship's lifestyle is about 6 times worse for the planet than the average gas-guzzling American - and about 10 times worse than someone living in San Francisco. Ouch. It gets better from there. Read the article to find out more. And don't forget. Date local.